Something funny I wanna draw for the Star Citizen forum. The colorscheme is... I dunno. I couldn't think of anything better. Also space is hard to draw. 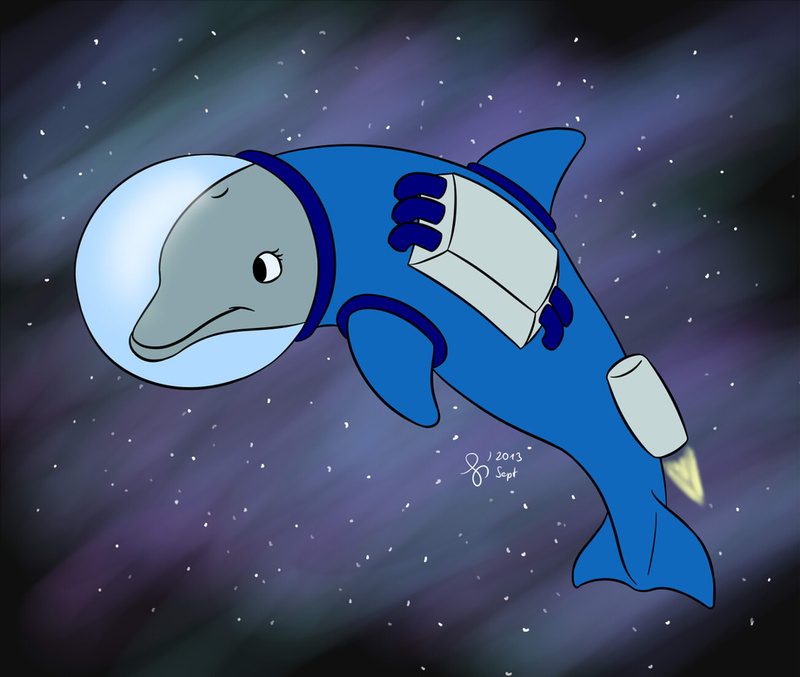 Also if you would give a dolphin a suit whose thrusters mimic swimming underwater and make his visor filter the light so it looks like he is under water you might have a very agile space creature on hand. All I can think of is..
"So long... And thanks for all the fish"
All I can think of is.. "So long... And thanks for all the fish"
I get where you are coming from. However I started with a dolphin because dolphins + space is an old cliché. Seriously google those two names and you get tons of the cheesy dolphins in space posters. dolphins in space... Don't tell miss Piggy. dolphins in space... Don't tell miss Piggy ( https://www.youtube.com/watch?v=Z825bcGpTbk ) . Attach space mines to space craft? But then .... then they could space die ... i don wana lose my space fish. ‌But then .... then they could space die ... i don wana lose my space fish. Well... I got nothing. Space out!